Bringing your pet on holiday has become increasingly popular over the years. You may feel heading off on your family holiday whilst the pup stays at home just doesn’t feel right. That’s why we offer a superb range of cottages that accept pets, so you won’t have to leave anyone behind! There's no difference in quality between our holiday cottages that accept pets and those that do not. 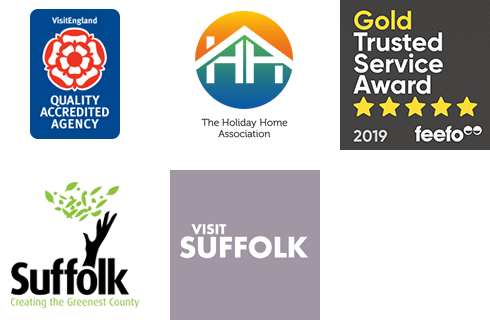 We have a beautiful selection of cottages available across the whole of Suffolk ranging from those that accommodate two people, all the way up to properties that sleep ten or more. Please note that there is a supplement per pet for your furry friends. Please select the correct number of people and pooches when you start your property search. If you would like more information about pet-friendly cottage holidays in Suffolk, please refer to the tourist guides in the 'Area Searches' section of the website. Welcome to Kakapo Lodge! This holiday home has been lovingly converted from an outbuilding to a gorgeous self-catering property which serves as a truly romantic getaway for two. Interludes exudes elegance... stay in this fantastic apartment right in the centre of Aldeburgh.